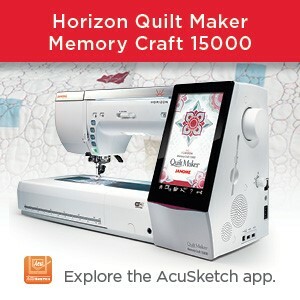 ← More on the Janome MC9400 Accessory Upgrade Kit from our Janome Canada Artisan Kim. So I’m attempting a few “firsts” with this project, I’m so excited. My first international pattern, first project on “Stella” (my new Janome Skyline S9), first time gathering with a string, first time embroidering on pleather…I’m getting ahead of myself! I thought the best way to show you what my Skyline S9 can do is make a skirt for my daughter, who loves all things frilly and pretty. This project will come to you in a few parts, as there is too many things to show you in one post. I’m making the 152/158cm size for my girl, she’s growing so fast even though she still fits in a smaller size. I’m super excited to start this project! After I printed and taped my pieces together, I cut them out, but not the tulle for the middle layer. I lengthened all the pieces by about an inch and a half, as I like skirts to be a little longer. There: All my pieces! Now that my tulle is gathered, I’m going to stitch the side seams of my top layer and bottom layer. You don’t need a serger to sew with knits. 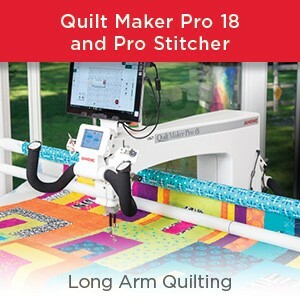 A serger is a fantastic tool for sewing with knits, but if you don’t have one, you can get a similar look with your sewing machine and the Janome Overedge foot M (that’s one foot that comes with the Skyline S9). And look how easy it is to switch feet! Here’s a close up of the finished seam. It looks really smooth and not rippled at all. Both sides of my bottom layer are now sewn together, now it’s time for stitching the top layer. I used just a straight stitch for that one. I’m now ready to assemble my skirt, but I want to add a little something to the top layer. 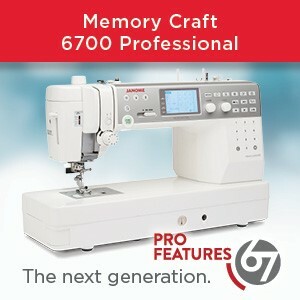 Tune in next time to see what I do with the built in embroidery designs! 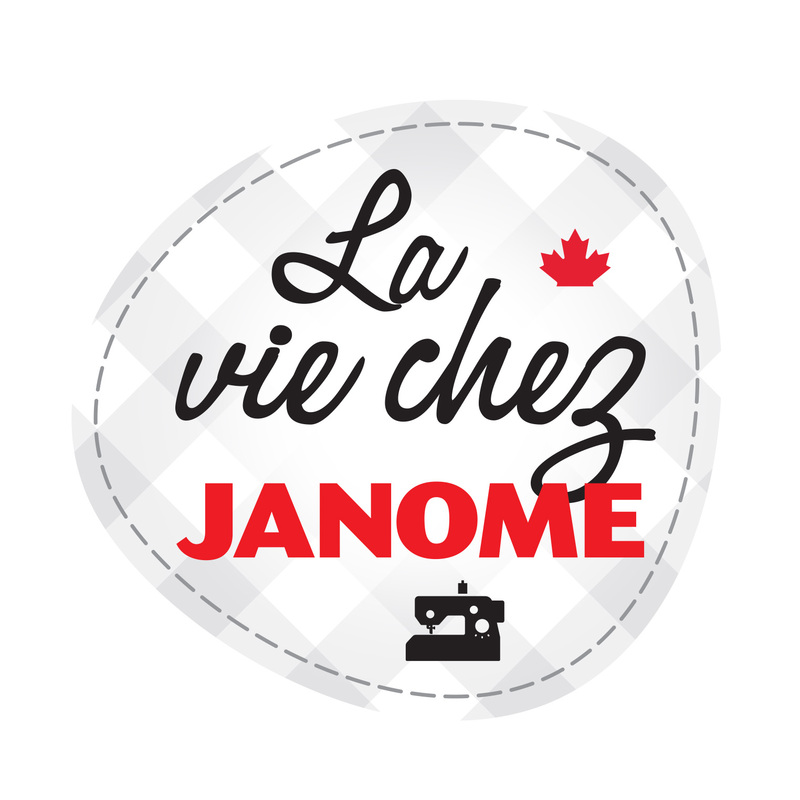 This entry was posted in Janome Skyline S9 and tagged GARMENT SEWING, Gathering with Janome, Janome Canada Educator, Janome Overedge foot, Janome Skyline S9, Sewing knit fabrics with Janome. Bookmark the permalink. I just bought a Skyline S9 but I’m having so much trouble with the bobbin color showing through the embroidery…did you have that problem and if you did, what did you do??? Are you using the yellow dot bobbin case for embroidery? This comes with your machine. It has a higher tension and will pull the top throws to the back of the embroidery rather than what you report is happening. If you are already using this bobbin case, then check your threading as the top thread may be catching somewhere and increasing the tension which will pull up the bobbin thread. You may need to take the machine back to your Janome Dealer to be checked and to get an owner’s lesson if this trouble shooting does not solve the issue.